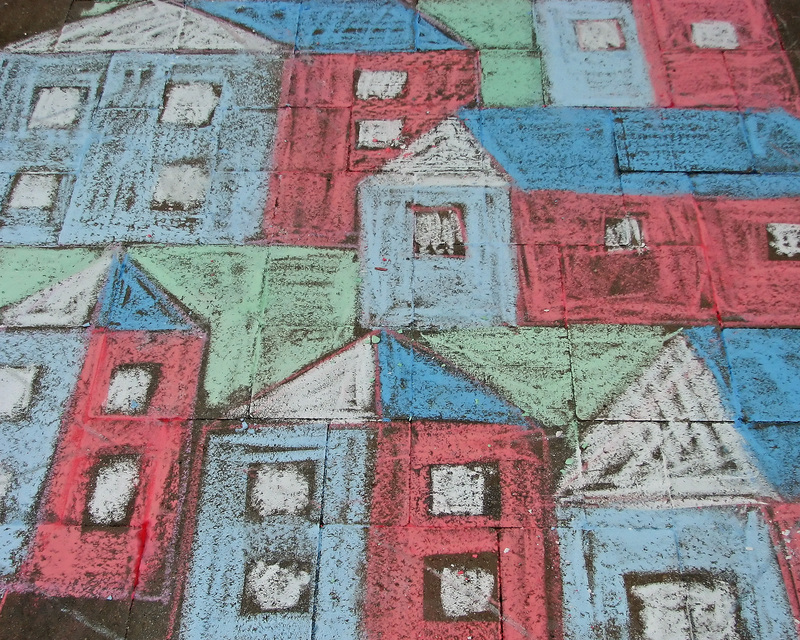 Slow Down London is a project to get Londoners to adopt a slower pace, at least for a week. 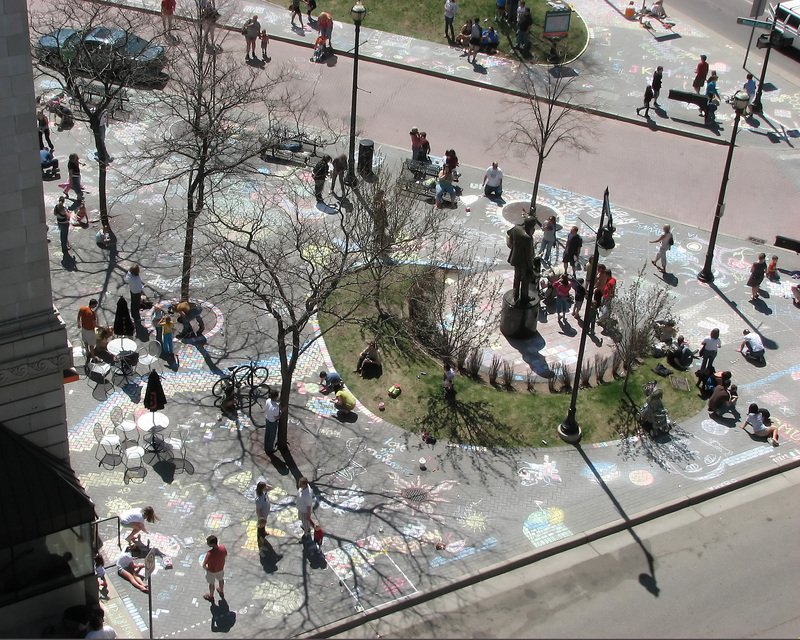 The campaign runs from April 24 to May 4 and has events around the city designed to get people to slow down and enjoy the moment. 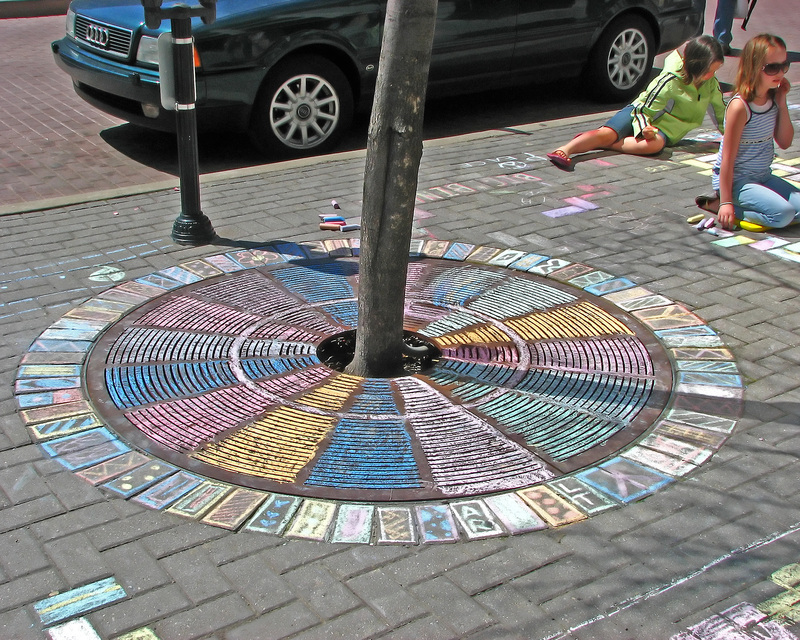 Part of the campaign includes a Slow Exposure Photo Contest designed to encourage Londoners to pause and look about them. 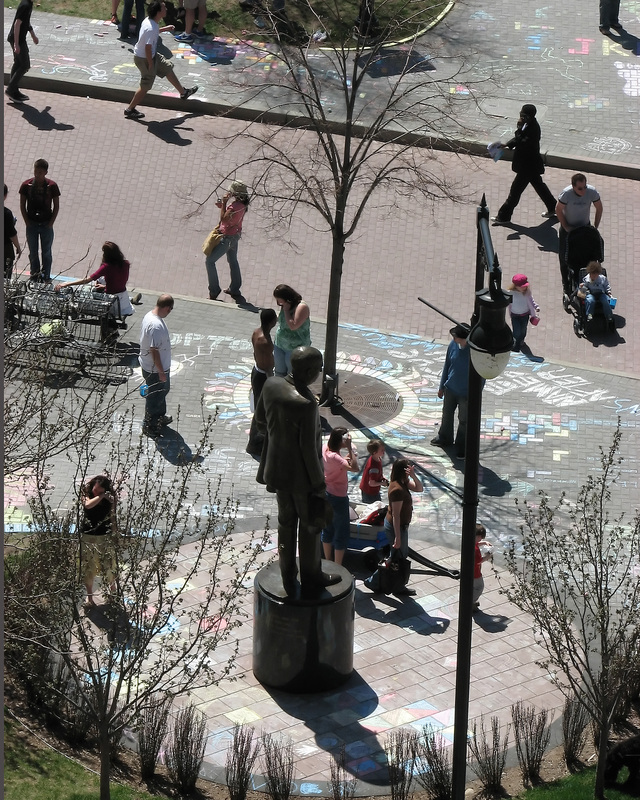 Some of the photos are stunning. 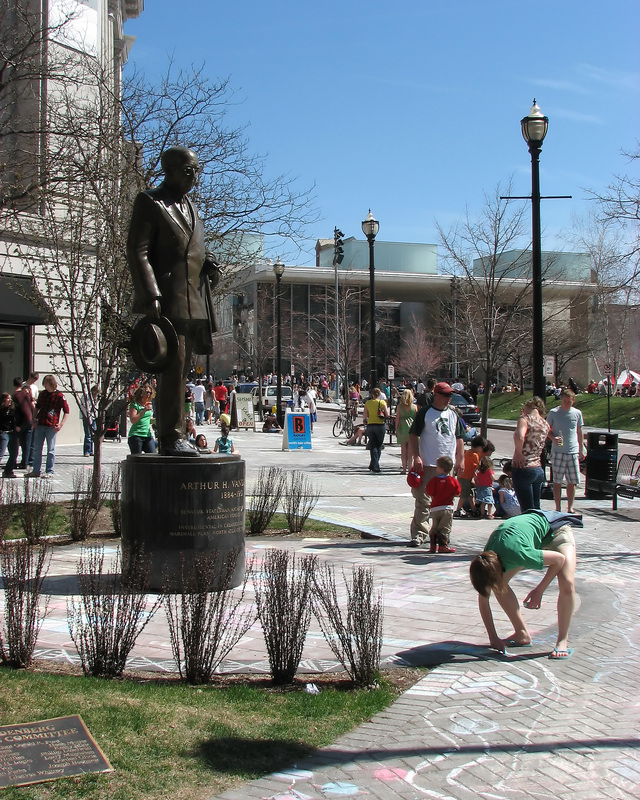 Rick DeVos today announced ArtPrize, an annual artcompetition that will be judged by the public and will pay the winning entry$250,000, the largest prize of any competition in the world. 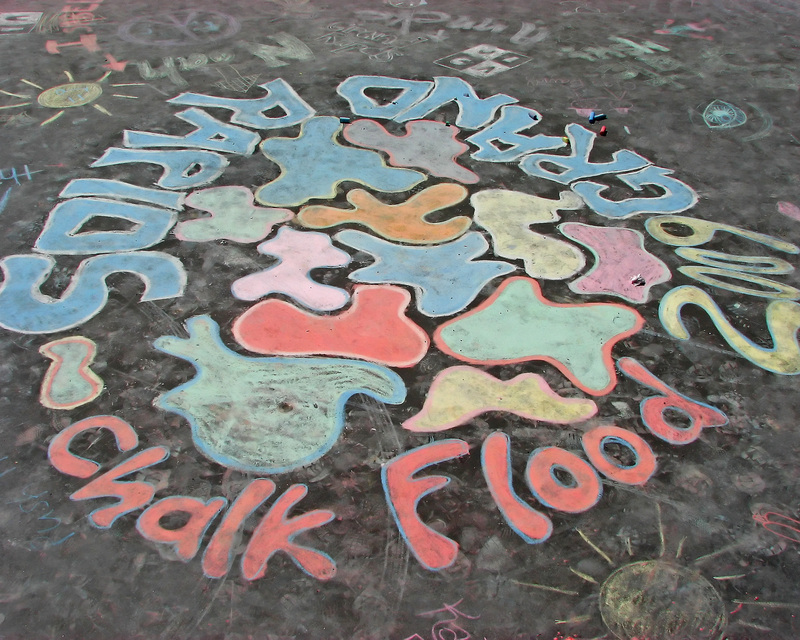 Thefirst annual competition will be staged from September 23 to October 10, 2009, inGrand Rapids, Michigan. 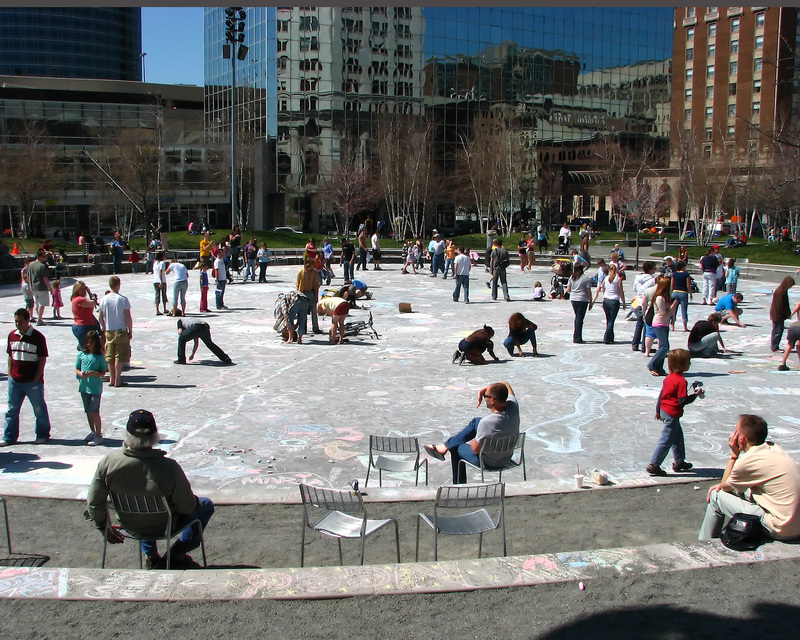 DeVos expects artists in every medium from aroundthe world to be lured to Grand Rapids to take over the city for 16days. 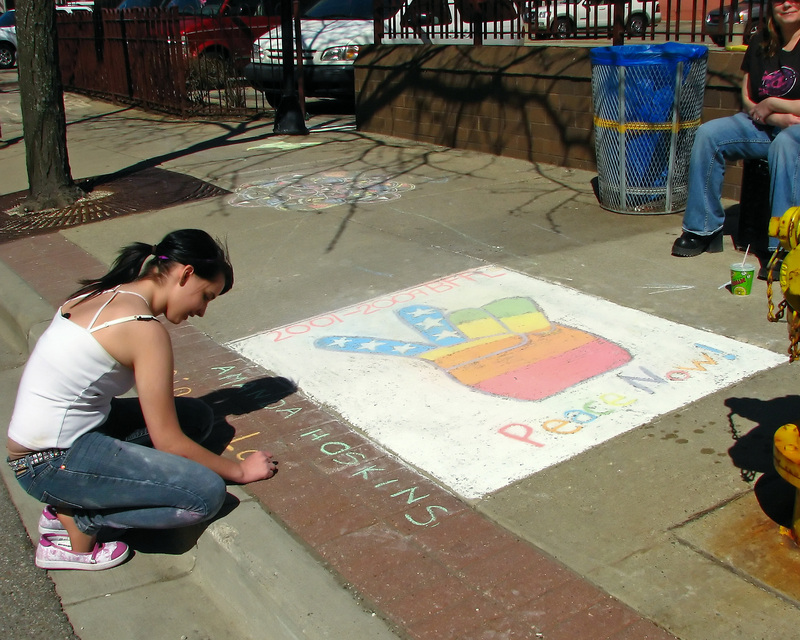 Winners in the competition will be determined by online voting. 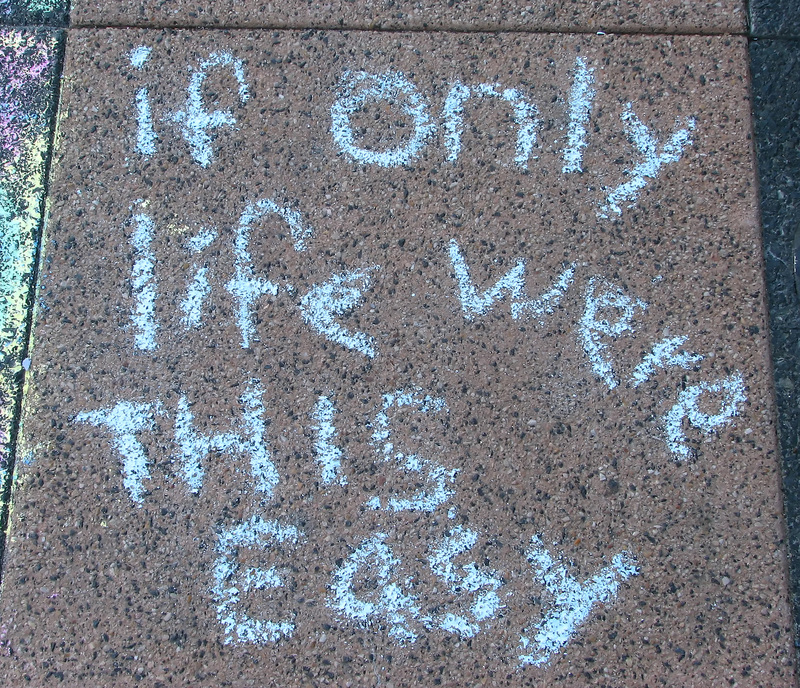 Weare living in a time of great change. 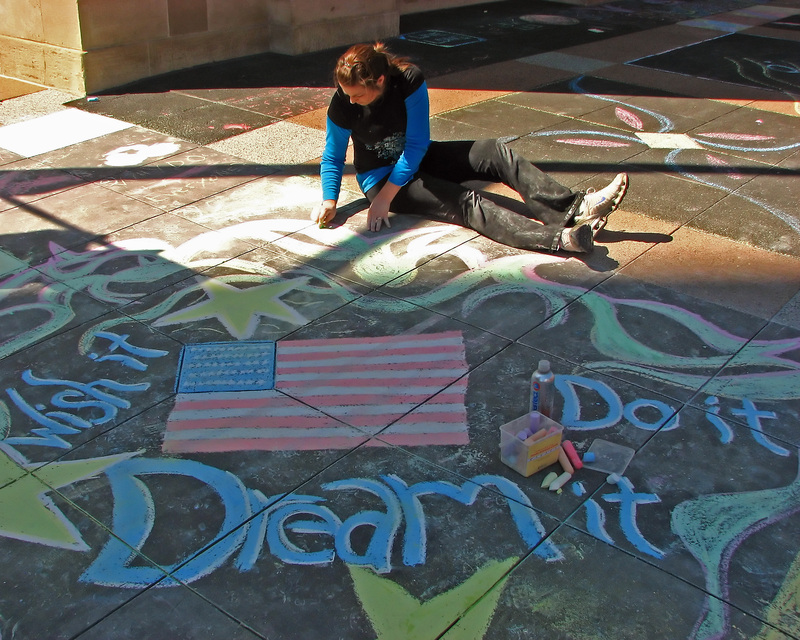 New ideas, fresh inspiration will move usforward. 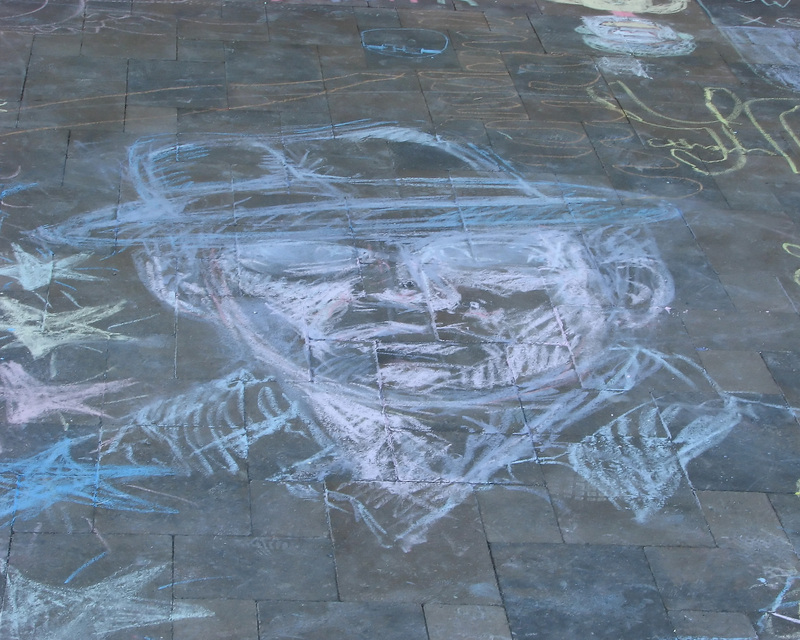 Thereare enough art competitions where the winners are decided by a jury of experts.That’s not the competition we are creating. 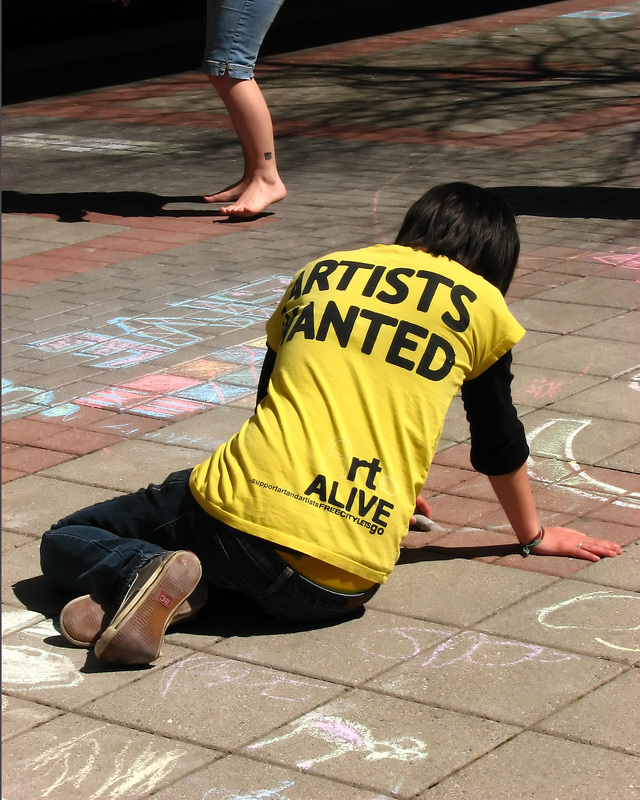 We’re looking for a giantconversation to happen between artists and the public. 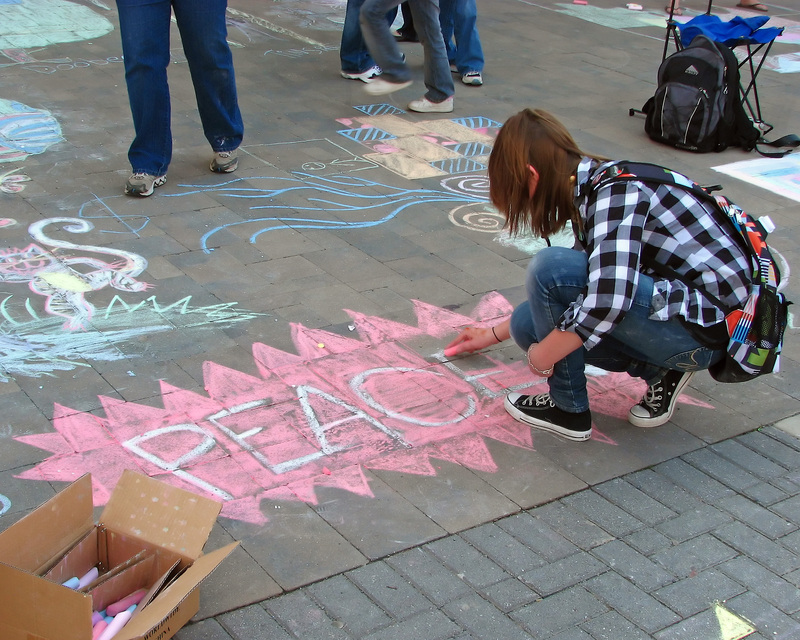 That is why we developeda radically open framework for this event, which gives power to everyone’sopinion. 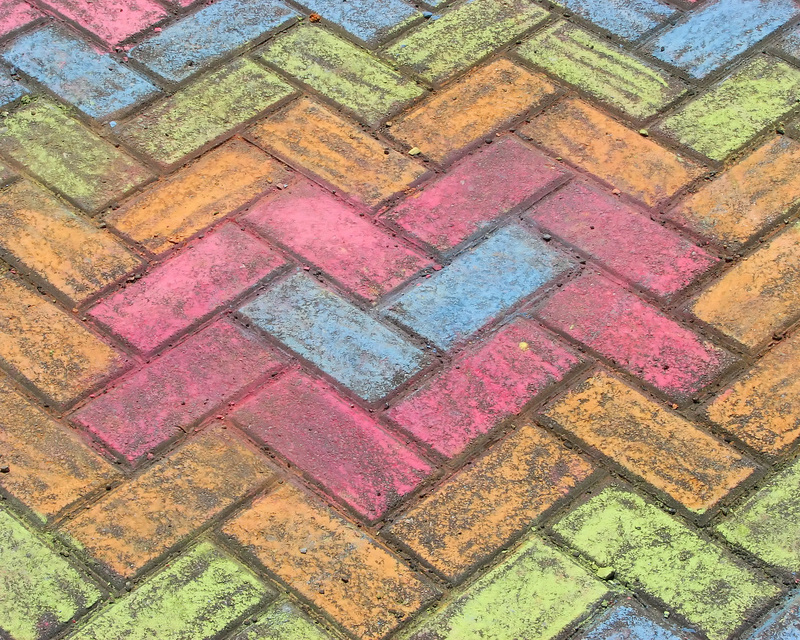 Wheneveryone’s opinion counts, everyone is included in the conversation. 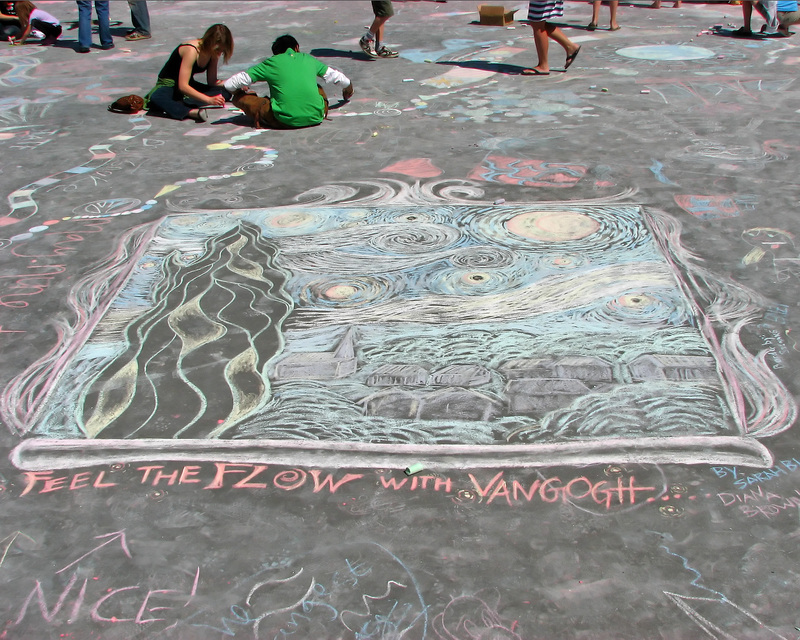 In addition to the first prize of $250,000. 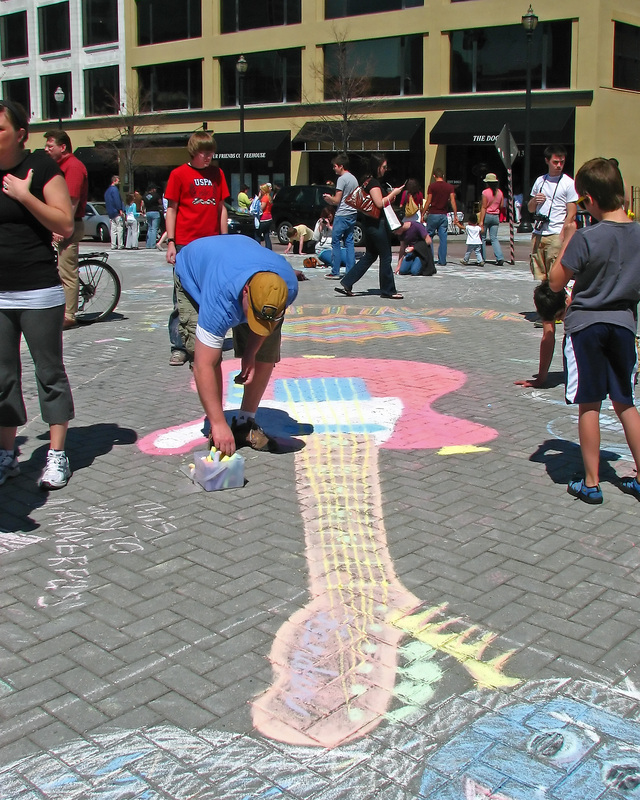 ArtPrize willaward a second prize of $100,000, along with $50,000 for third place and $7,000for fourth through 10th places. 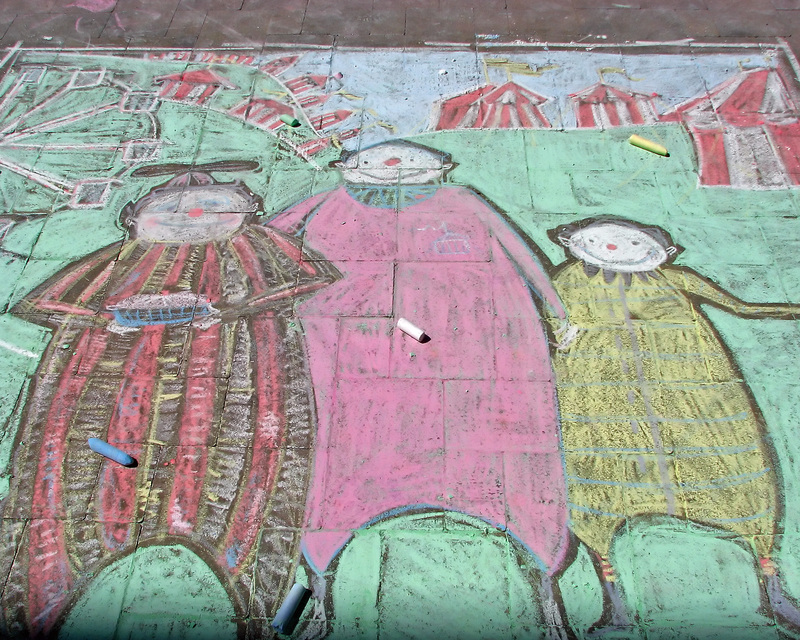 For information about ArtPrize, go to www.artprize.org. 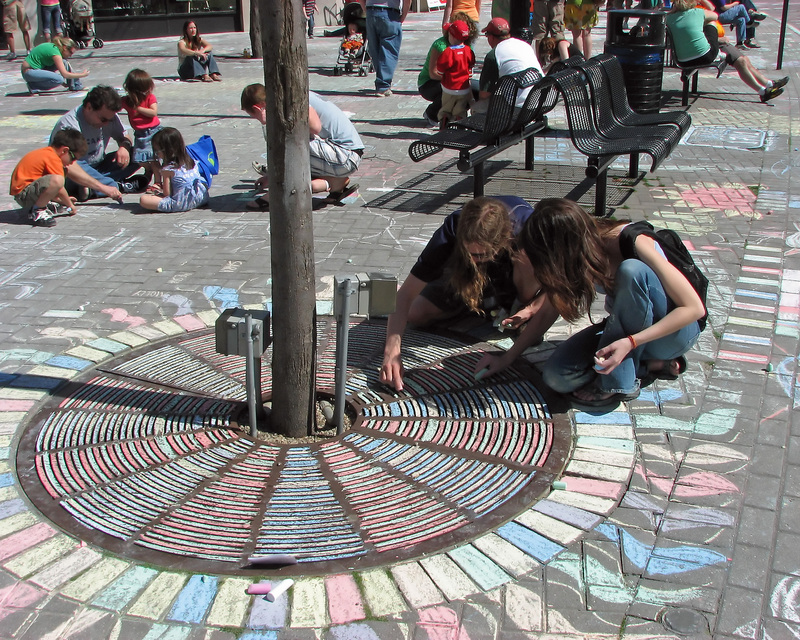 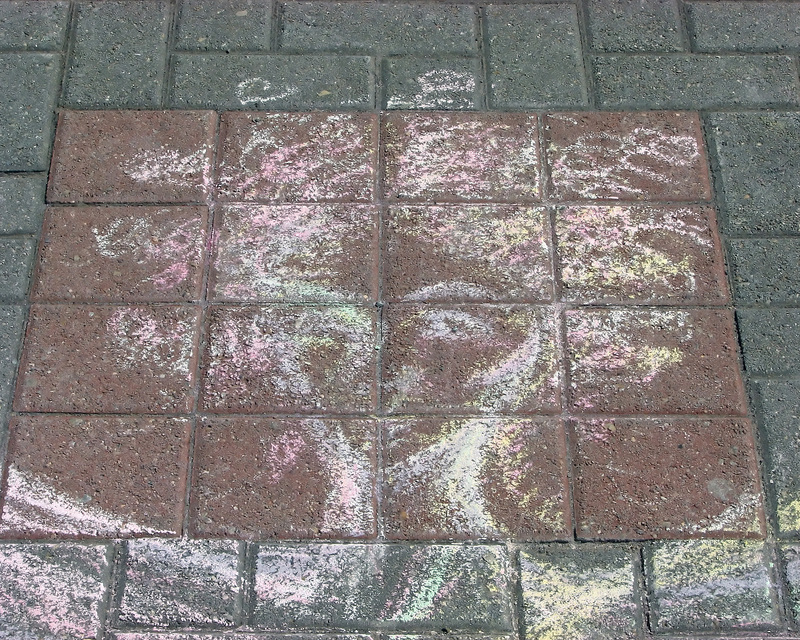 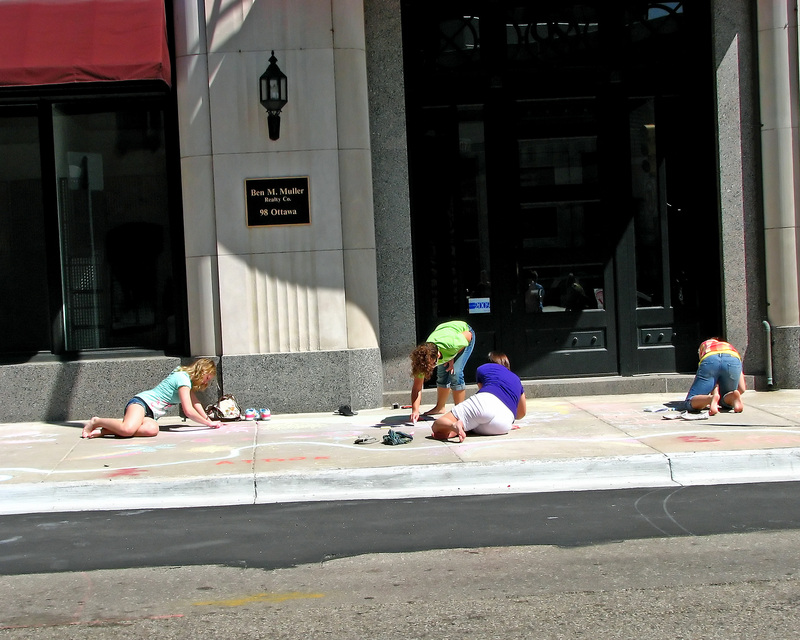 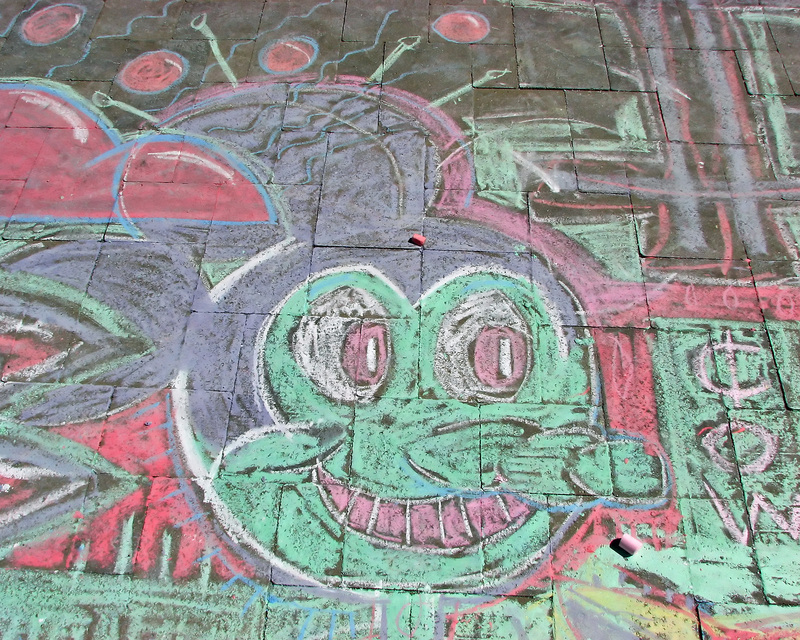 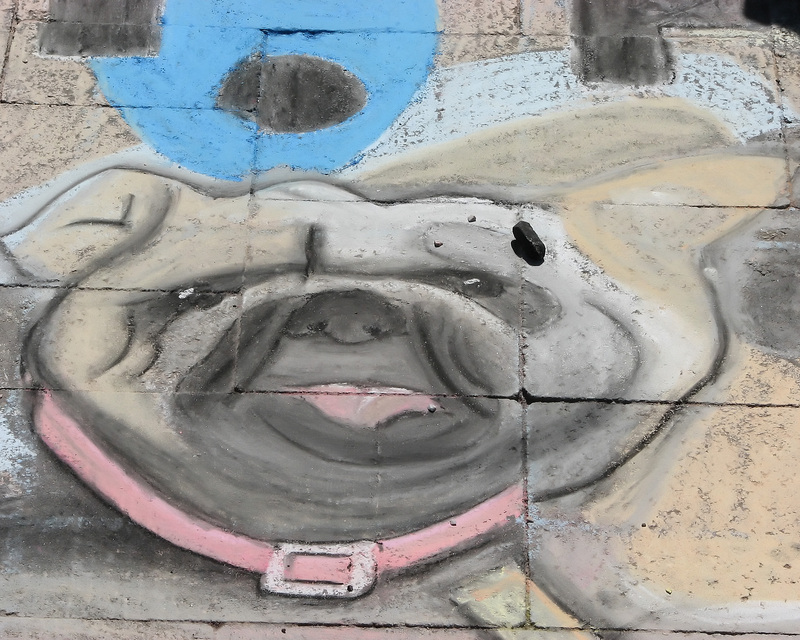 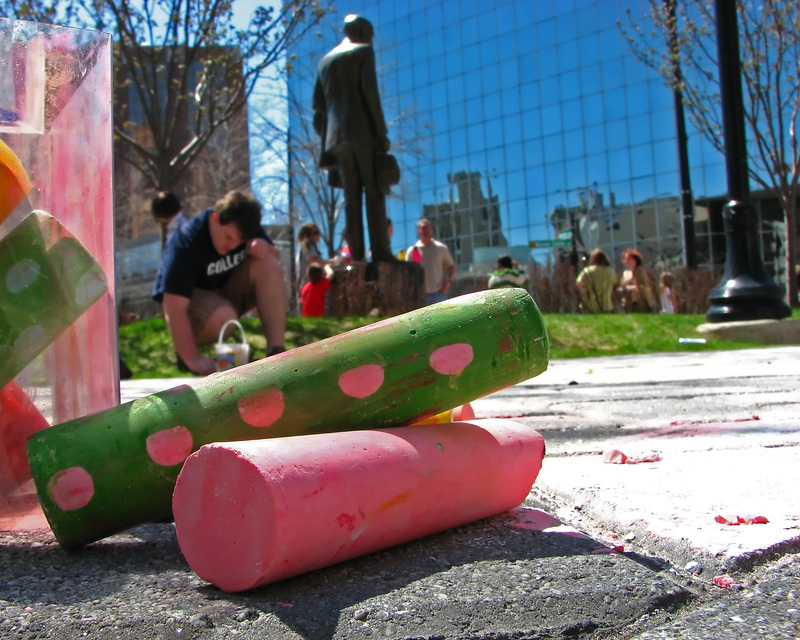 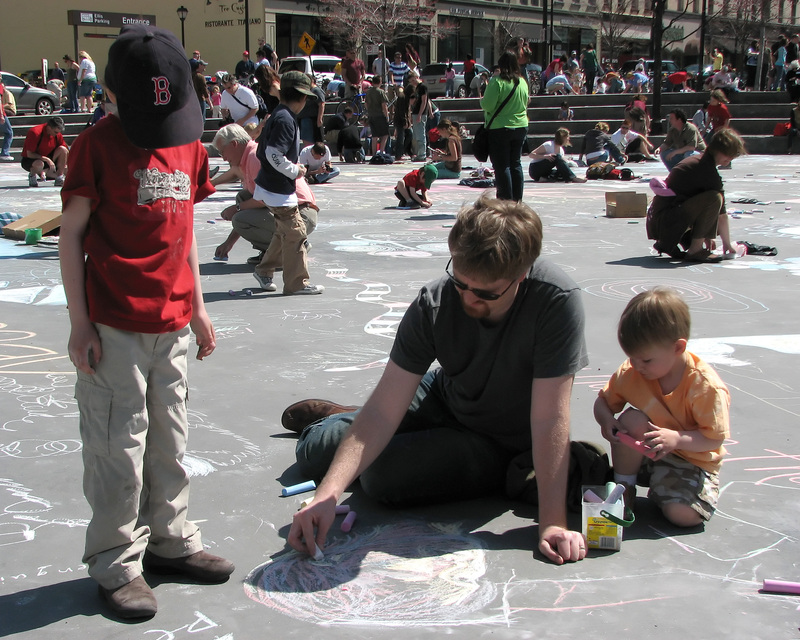 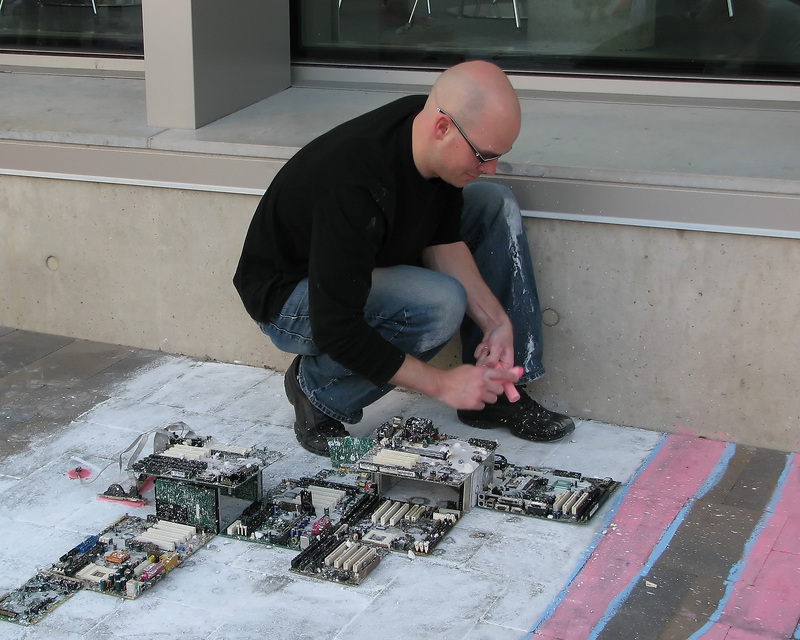 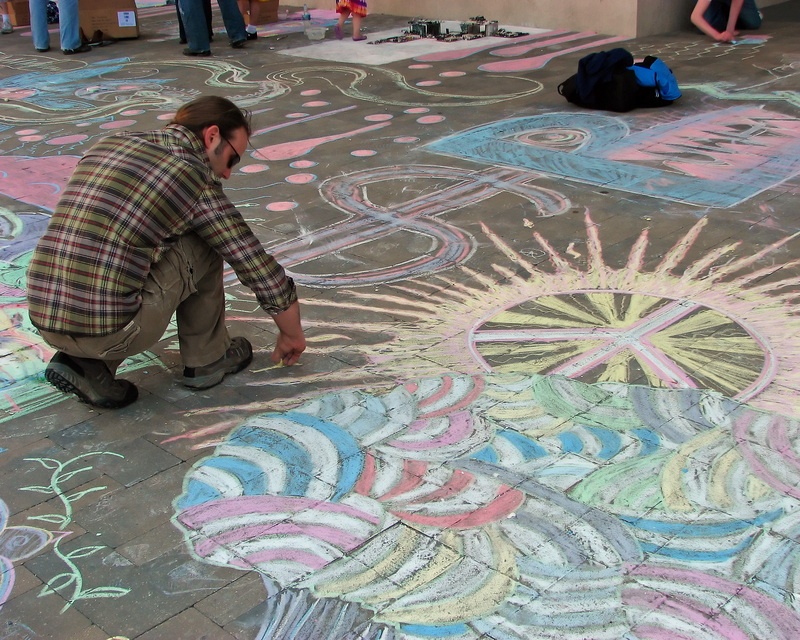 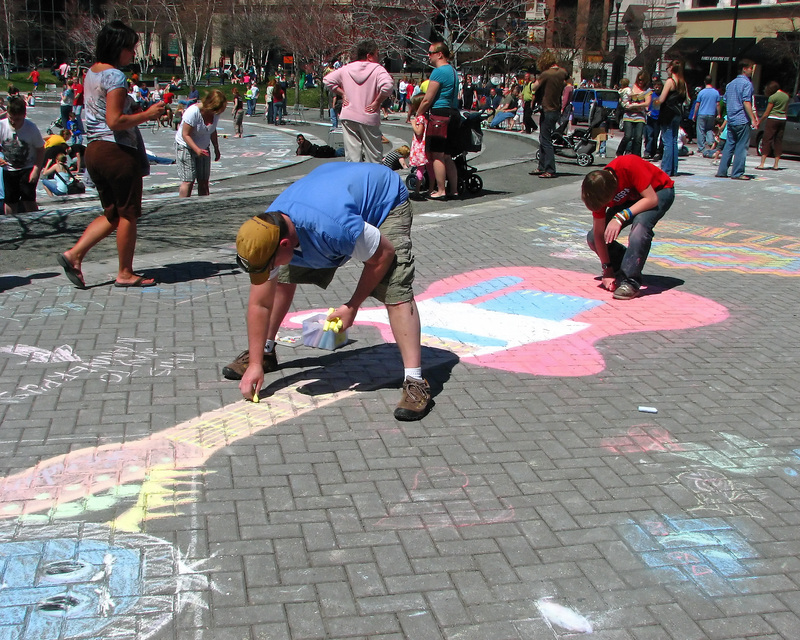 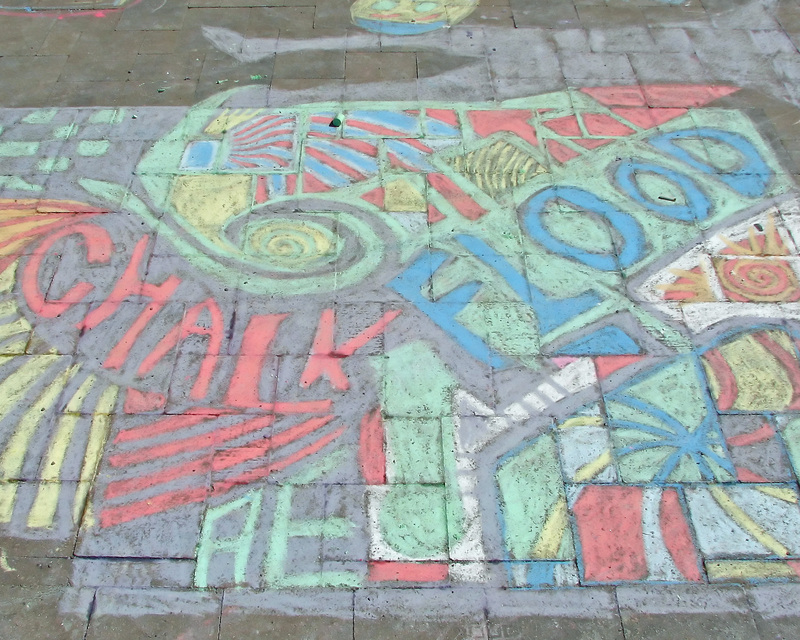 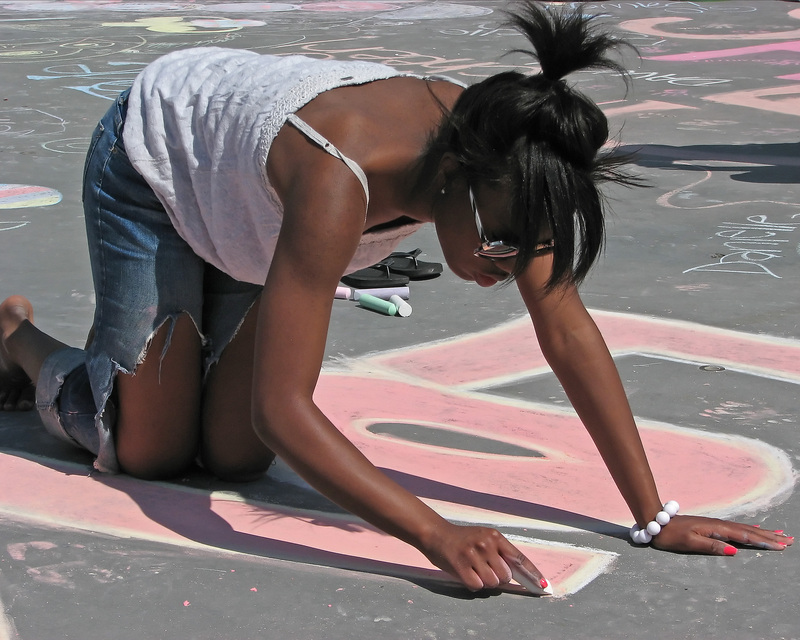 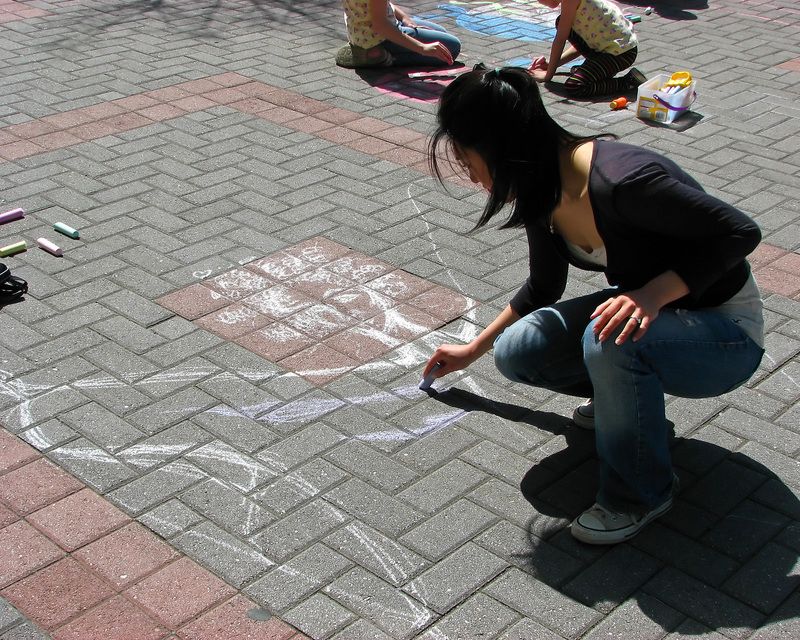 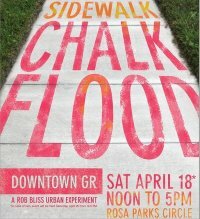 Here are photos I took at the Sidewalk Chalk Flood in GrandRapids on April 18, 2009. 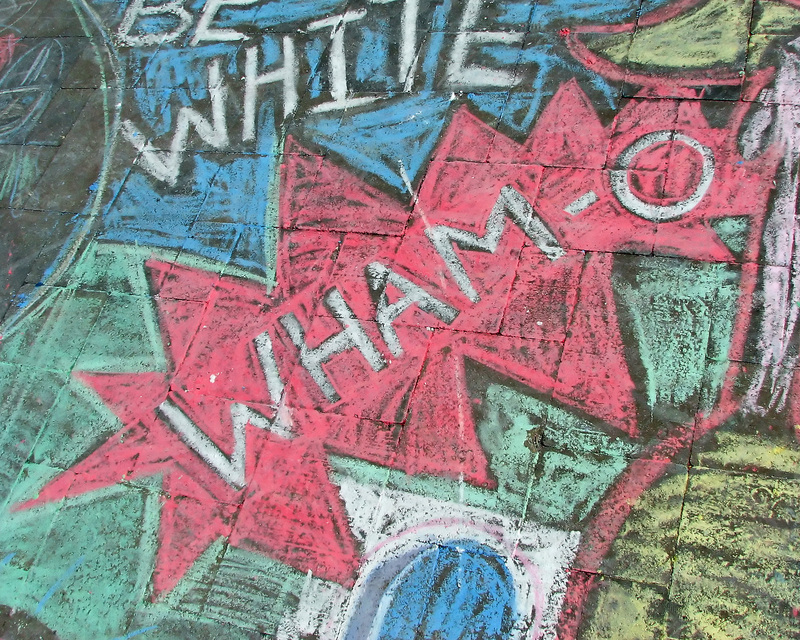 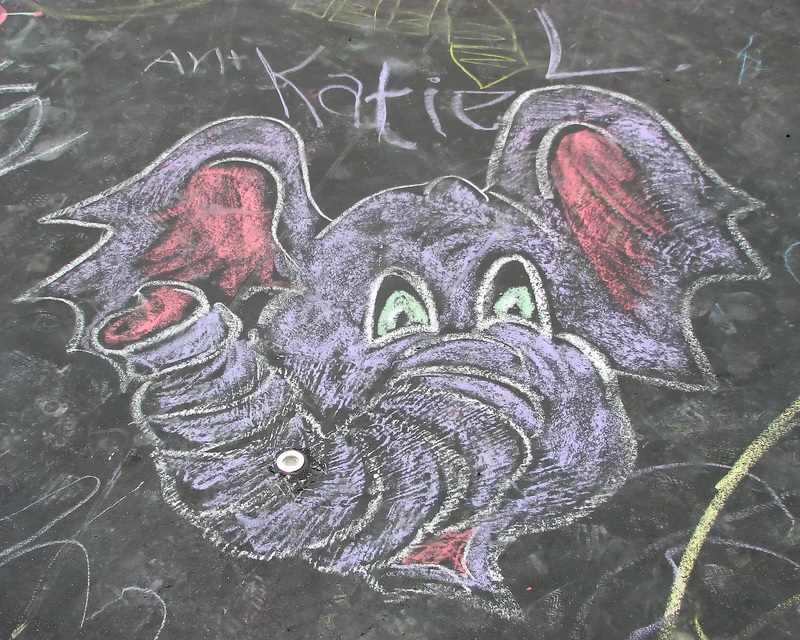 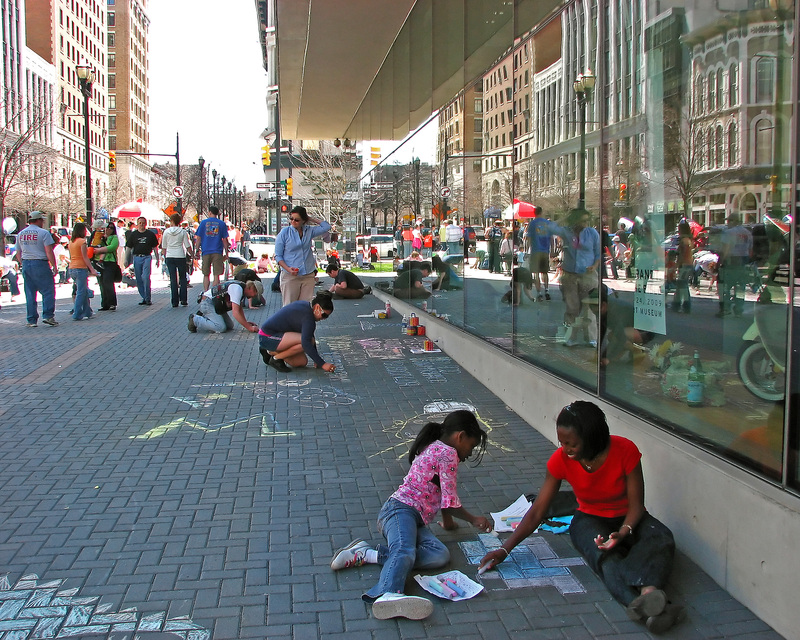 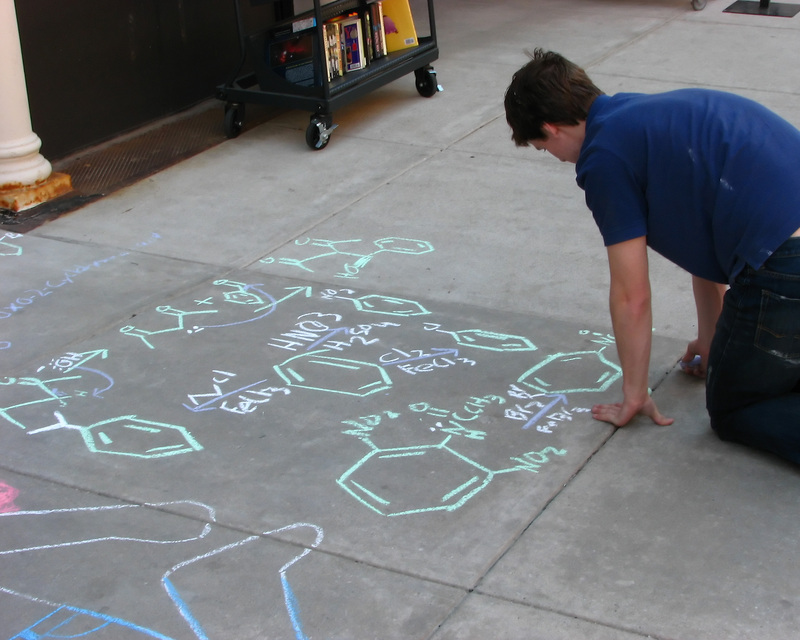 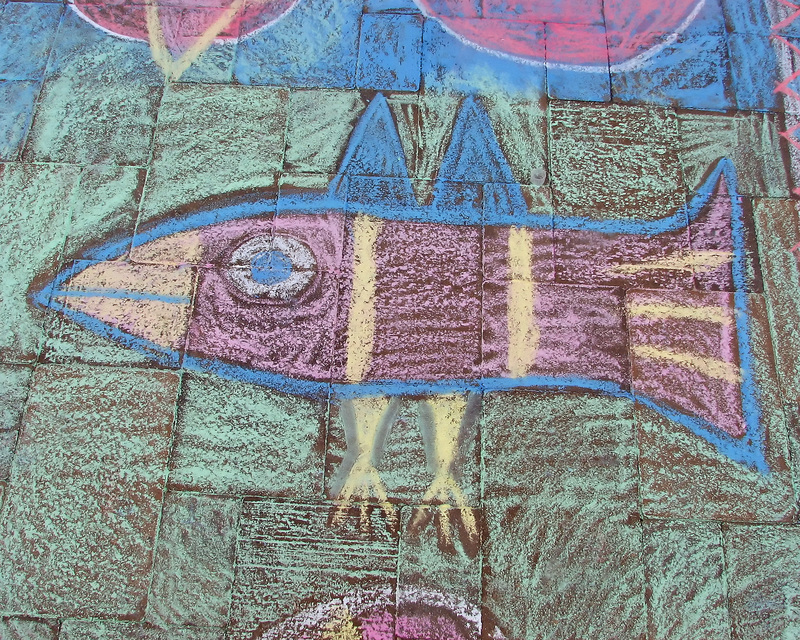 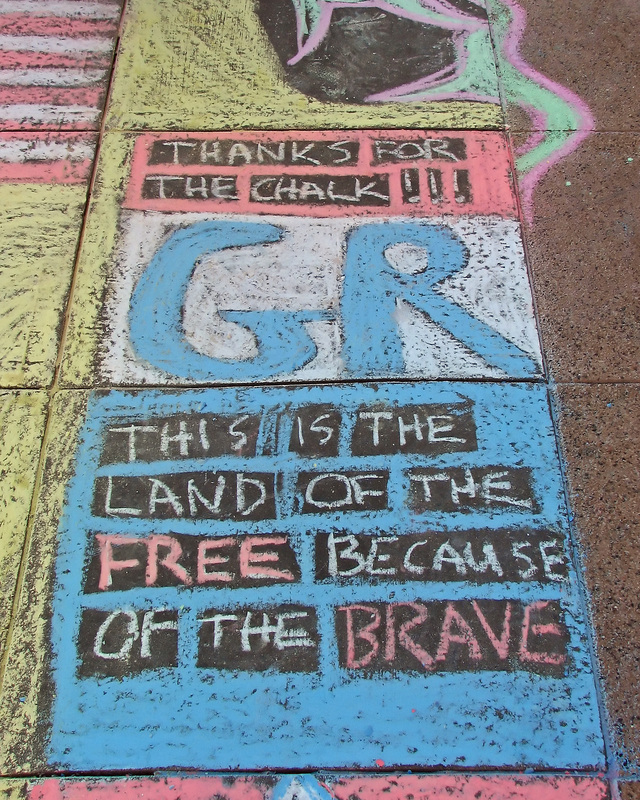 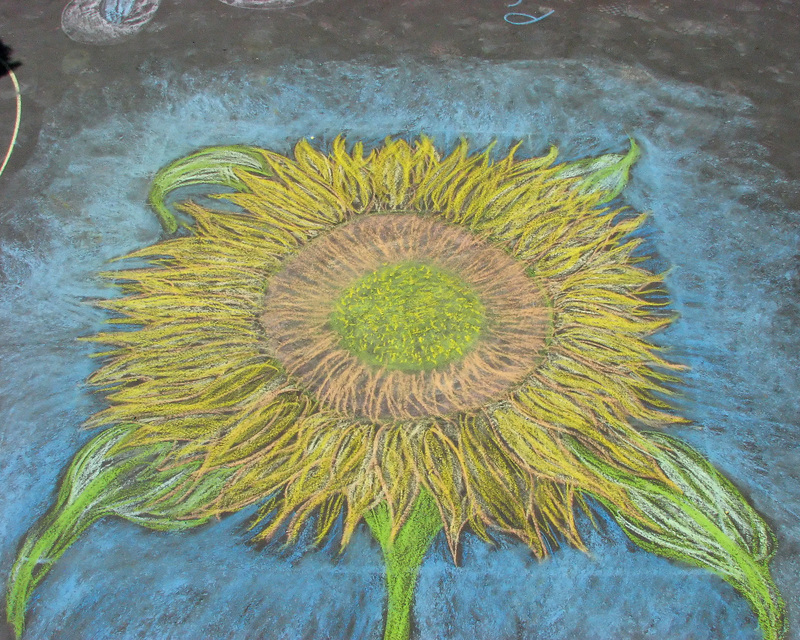 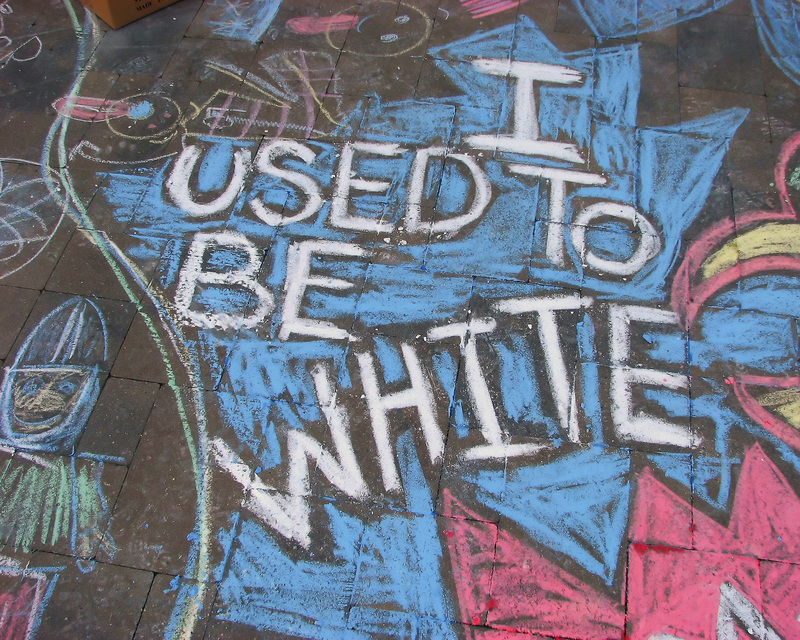 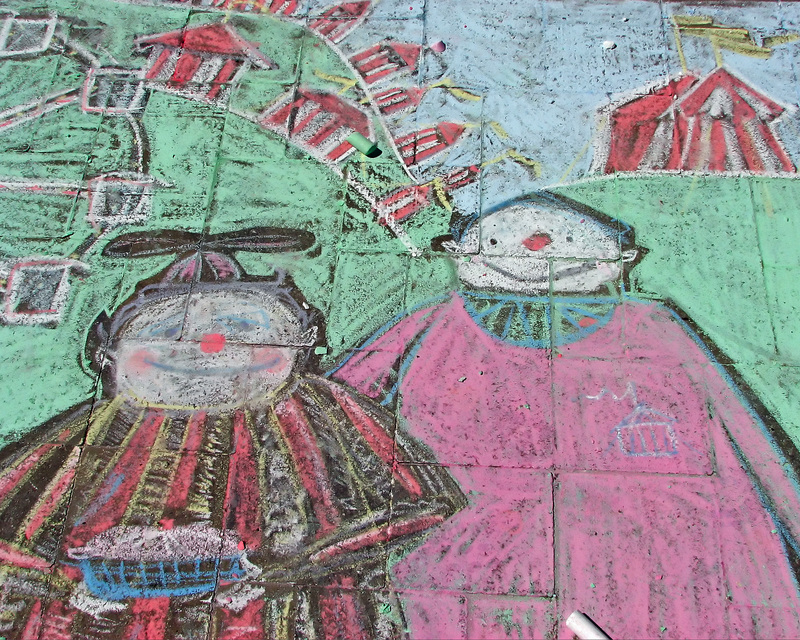 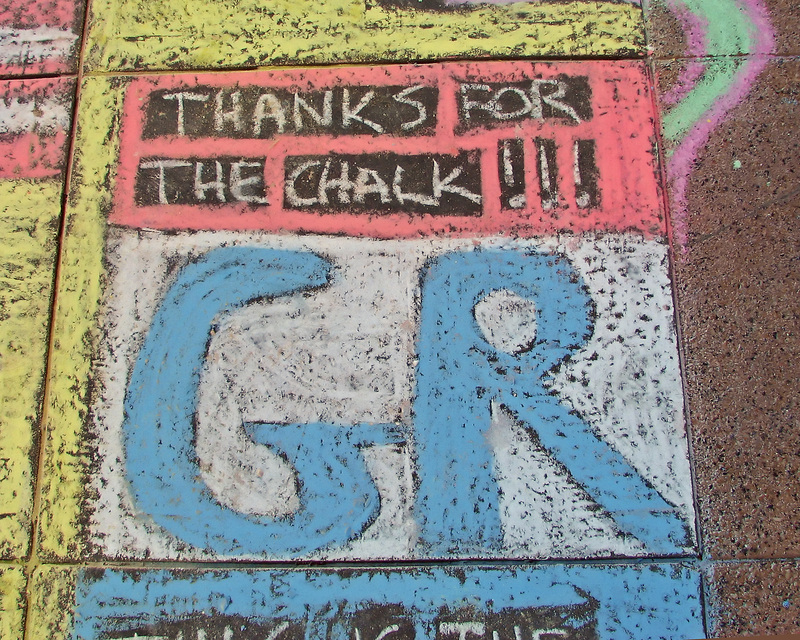 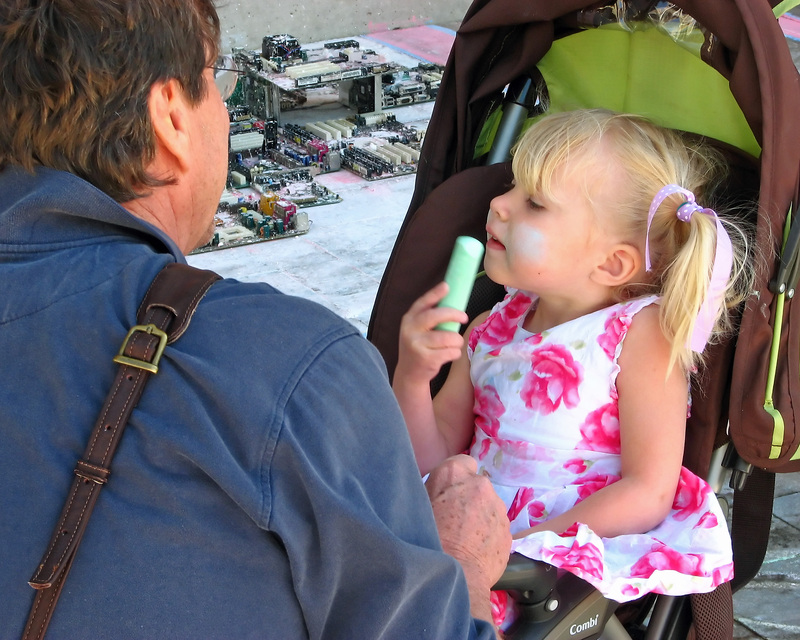 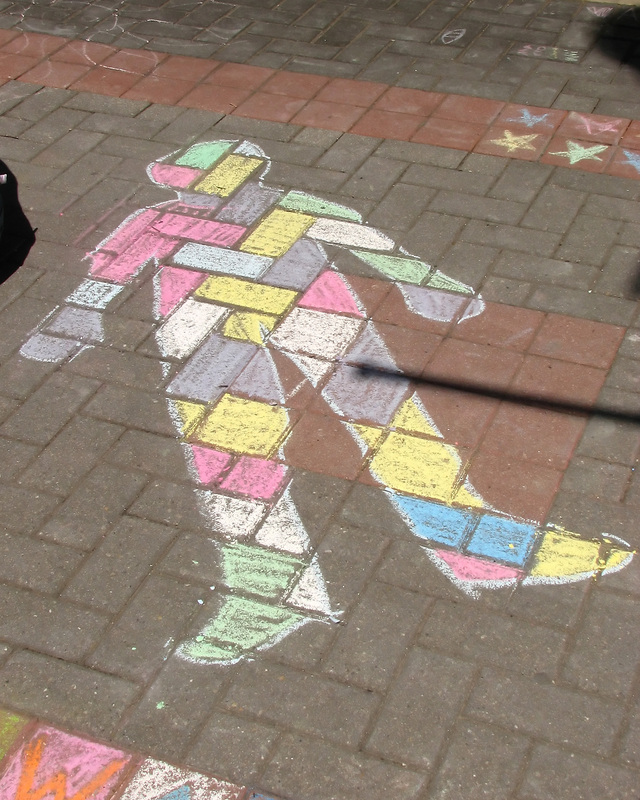 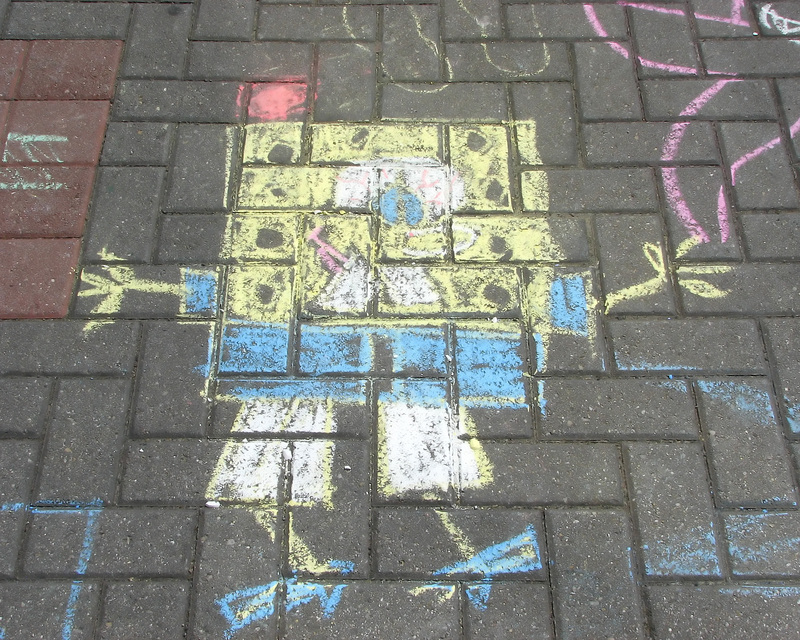 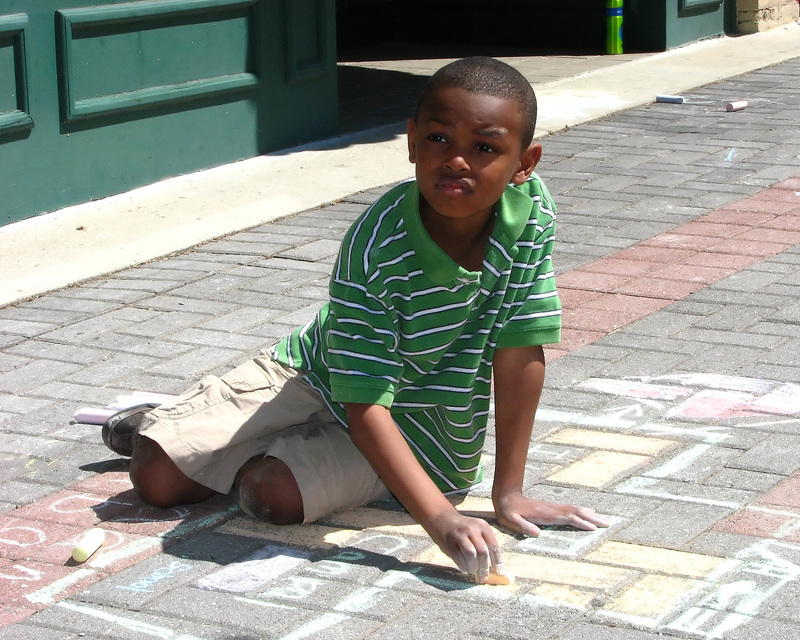 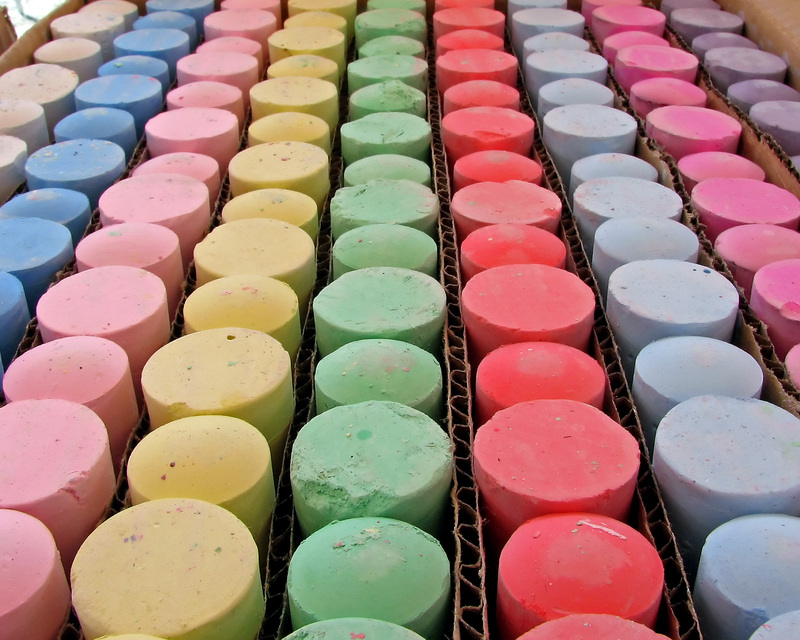 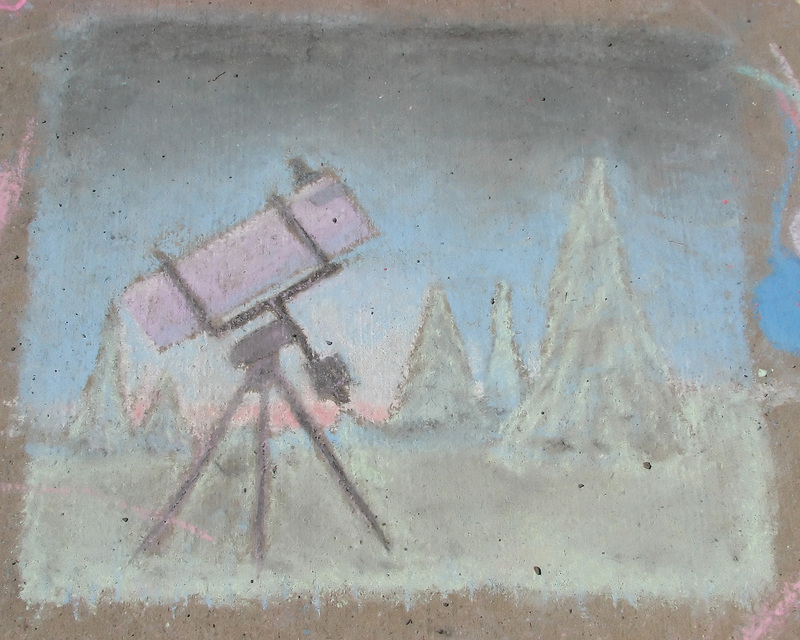 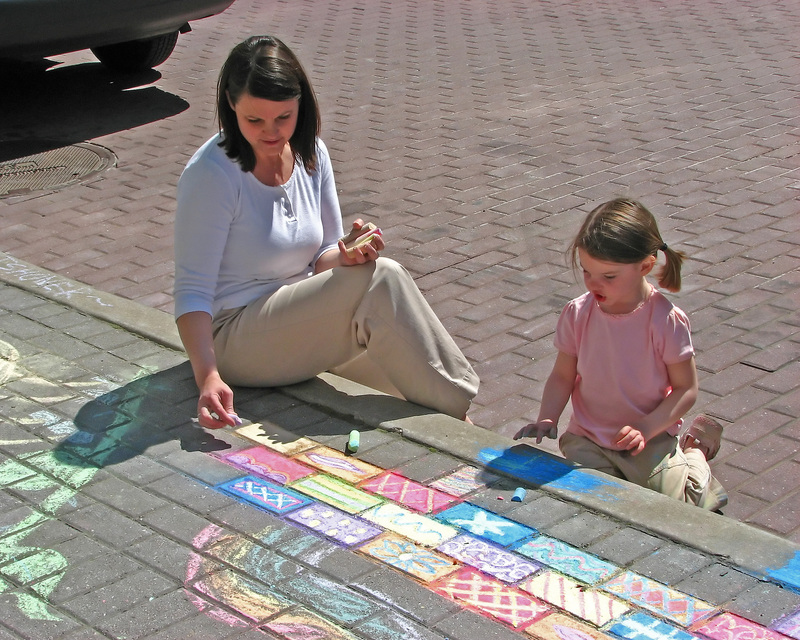 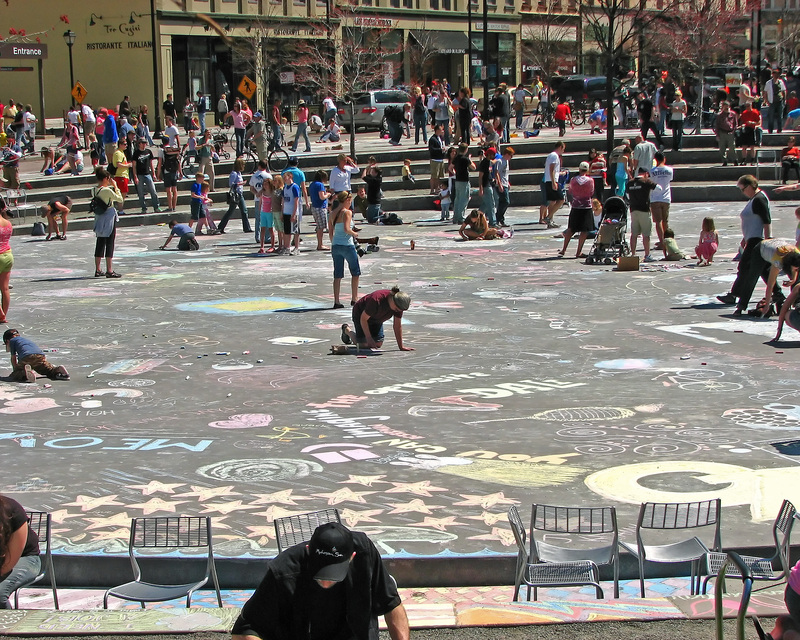 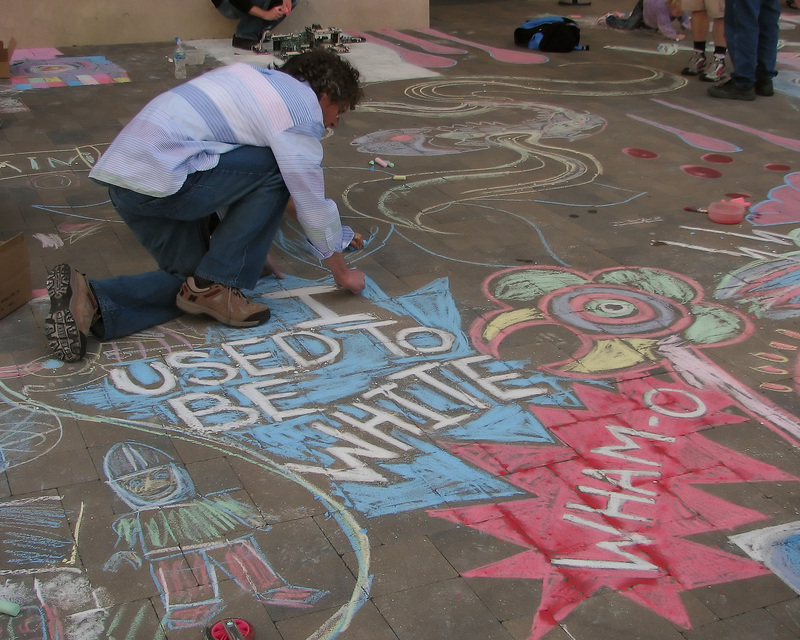 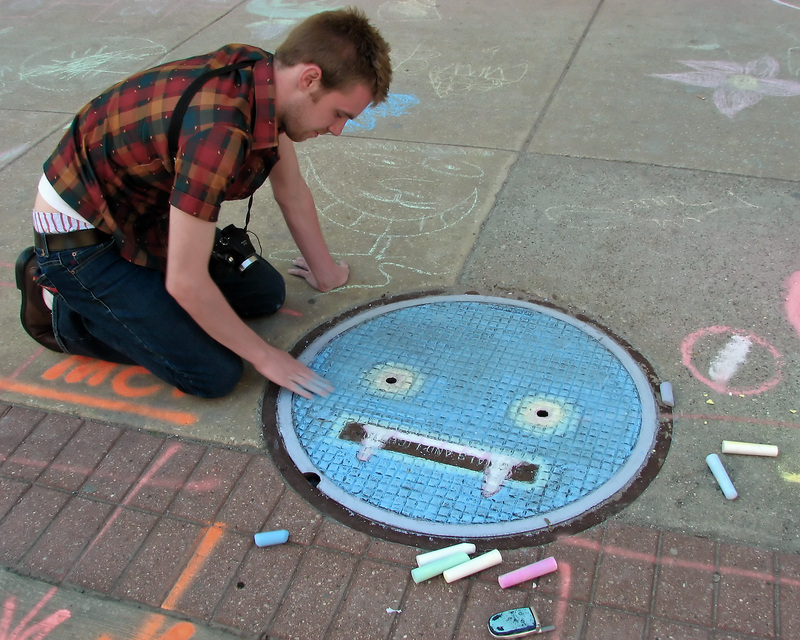 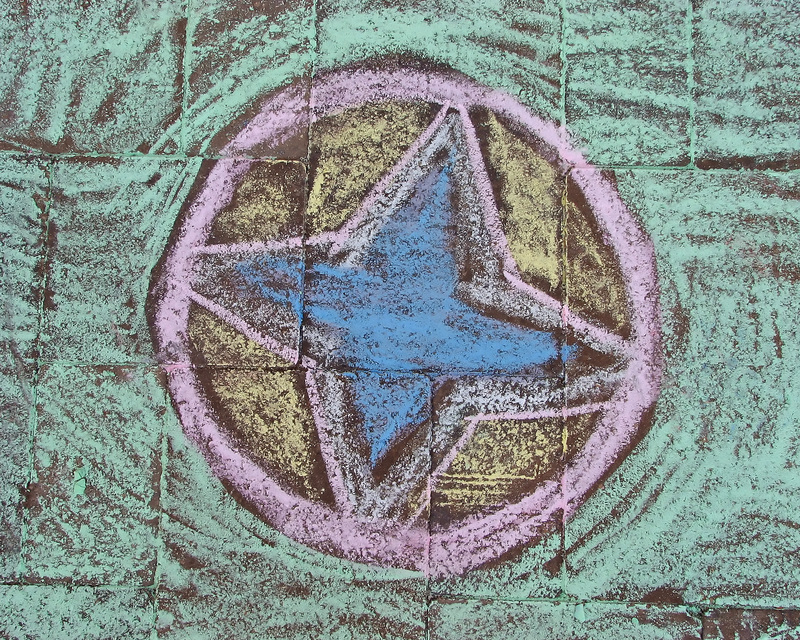 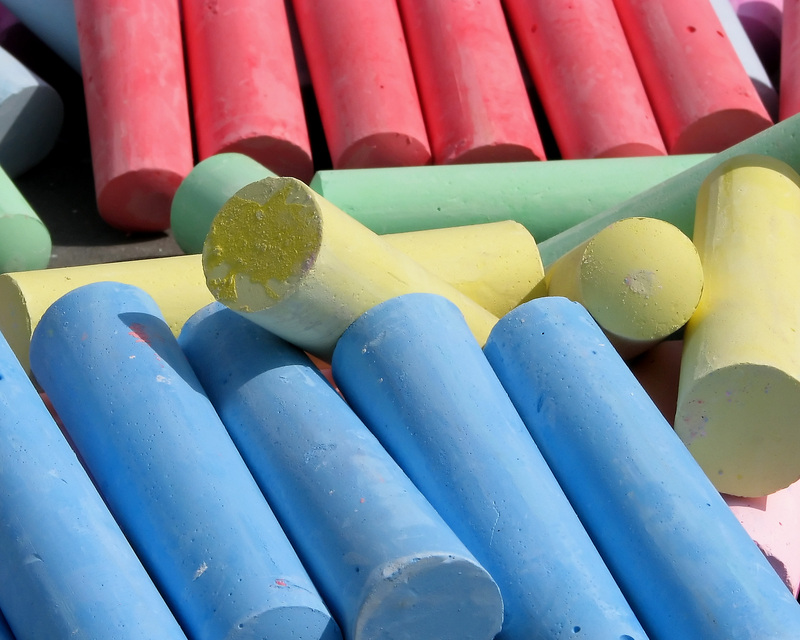 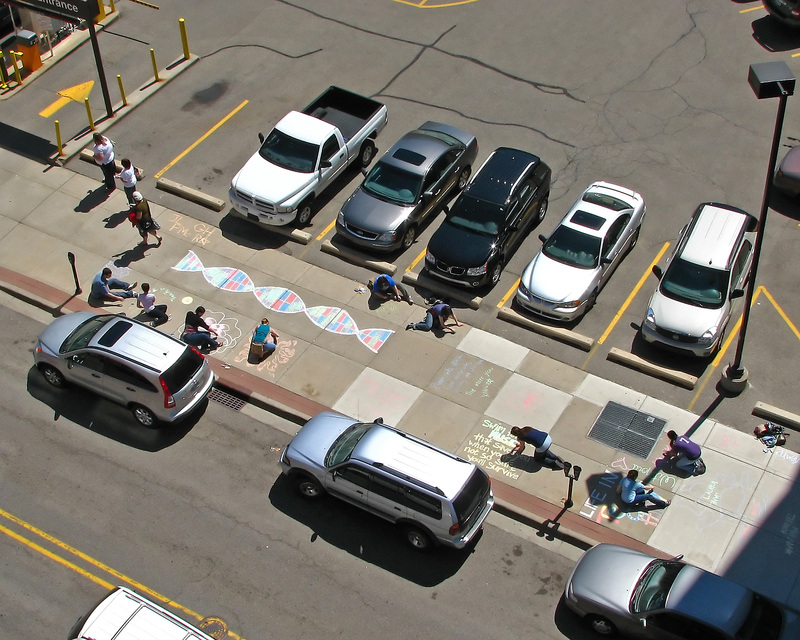 Today 5,000 would-be and actual artists took to the streets of Grand Rapids with 30,000 pieces of sidewalk chalk. 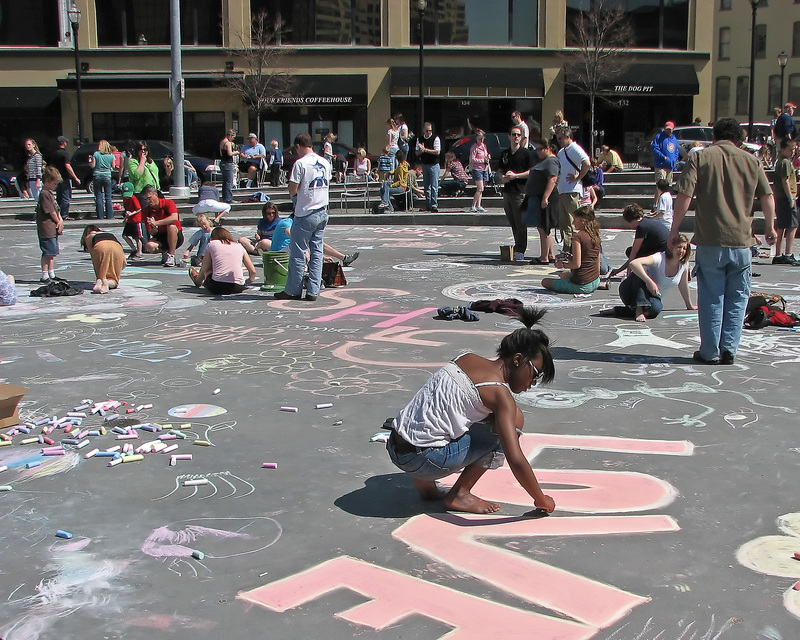 The event was organized by Rob Bliss, of Rob Bliss Urban Experiments, who earlier brought us the world’s largest zombie walk and world’s largest pillow fight.